The time for hand wringing is over. The time for reinvention is now. 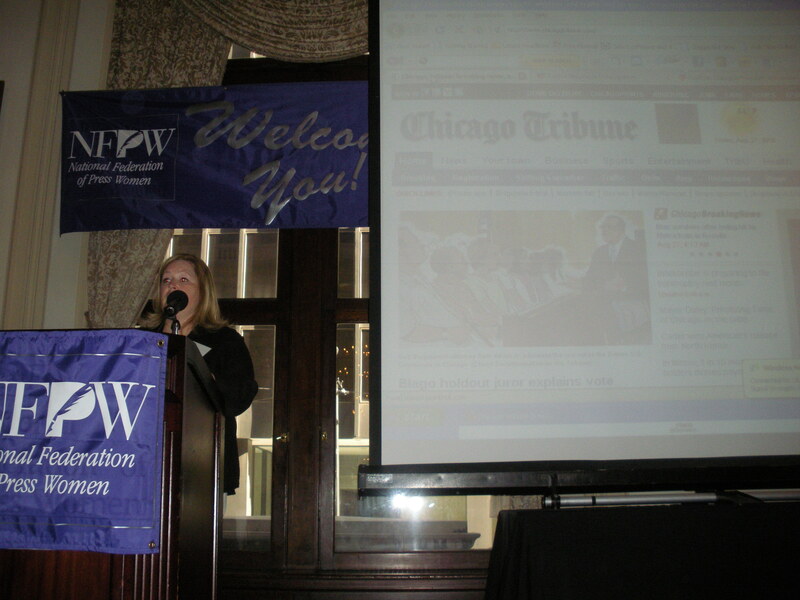 Jane Hirt, managing editor of the Chicago Tribune, declared during a keynote session at the 2010 NFPW Conference. Jane Hirt discusses the reinvention of the Tribune. “We think of it as disruptive innovation,” she said. To be innovative, the newspaper seized on what it did best, she said, which is watchdog reporting. “We resolved to make watchdog a daily defining category,” she said. It’s a key part of planning the paper each day and such reporting is labeled clearly in the newspaper. Topics range from toxic chemicals in the air, drinking water and deadly flaws in car seats to highly connected students who get into the University of Illinois despite poor grades to officials with pensions of $250,000 or more. “We reset the news agenda every morning, “ Jane said. In hindsight, Jane said the watchdog approach was a no-brainer because both reporters and readers love it and from a business perspective it makes the Tribune unique. The paper also has gone to a hyperlocal coverage meaning a reporter is assigned to each town in 30 suburbs who reports on a breaking news basis online. The paper has been doing this for about a month. Reporters also are trained in search engine optimization and using Facebook and Twitter. They are up-to-date on Google trends and topics. The Tribune also made a cultural shift, Jane said, when it began listening to its readers and users. “For many years newspapers didn’t do that,” she said.